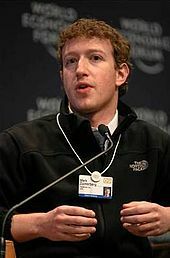 On a recent survey on highest rated CEOs conducted by Glassdoor, Mark Zuckerberg, the co-founder and CEO of the social-networking website Facebook, comes first with the best employee approval rating score of 99.3 percent. On the basis of employee feedback score one can argue that Facebook is the best company to work with. It seems employees love him the way he is, casually dressed up, working in the open along with other employees and taking lunch in the common cafeteria. Last year he wasn’t even among top 25. Time magazine enlisted him among the 100 wealthiest and most influential people in the world and Person of the Year in 2010. He ranked at #35 on Forbes “400” list. By August 2012, Facebook reached 1 billion active users worldwide users. 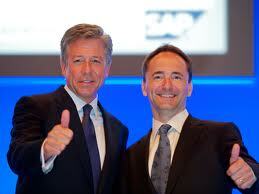 Jim Hagemann Snabe, who joined SAP back in 1990, is co-CEOs of SAP along with Bill McDermott from February 2010. Jim Hagemann Snabe and Bill McDermott are at number two on the best employee approval rating of a CEO according to the recent Glassdoor Company Review Data survey. Better Work life balance, openness, honesty, immense learning culture, and several other activities make the company second best to work with. SAP AG is a German multinational software corporation that is better known as the technology leader in business management software, solutions, and services. 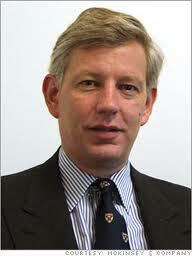 Dominic Barton is a senior partner and managing director of McKinsey & Company since 2009. According the Glassdoor Company Review Data survey, he is the third highest rated CEO. Employees feel that the company has a refined culture for personal as well as professional growth, an intellectually stimulating and friendly atmosphere, and that the colleagues are quite friendly. McKinsey & Company, Inc. is an international management consulting firm that provides assistance to businesses, governments, and institutions with better advises. Today, McKinsey consultancy has approximately 9,000 consultants in 97 locations across 55 countries in the world. 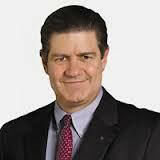 American businessman Jim Turley is the Chairman and Chief Executive Officer of Ernst & Young. He joined Ernst & Young back in 1977 after which he has worked in various leadership positions throughout the organization. He ranks at 4th position in Glassdoor Company survey of Highest Rated CEO of 2013. he has worked for several key issues of the company including the quality, integrity and professionalism, better working culture and many. London based company Ernst & Young is one of the biggest leading professional service providing firms across the world with 167,000 employees in over 140 countries. Back in 1987, John E. Schlifske joined Northwestern Mutual as an investment specialist and became CEO and Chairman in 2010 after heading various aspects of investment functions of the company. Besides, he is also a director on the corporate boards of Kohl’s Corporation and Russell Investment Co.
Northwestern Mutual is Milwaukee based company that provides consultation and financial services including life insurance, disability insurance, long-term care insurance, mutual funds, and employee benefit services. 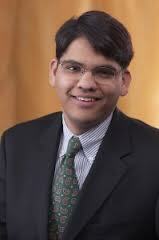 Francisco D’Souza is the President and CEO and the member of the Board of Directors of Cognizant Technology Solutions. He is also known to be one of the youngest Chief Executive Officers in the software services sector. 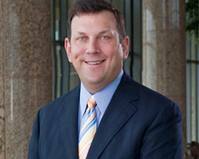 He has played the most significant role for the company’s growth and development. In 2005, D’Souza won The Economic Times Entrepreneur Award, in 2009 he was enlisted among “America’s Best CEOs” by Institutional Investor magazine. Besides, he is an independent Director of General Electric board. Cognizant Technology Solutions is a leading provider of global consulting, information technology, and outsourcing services. 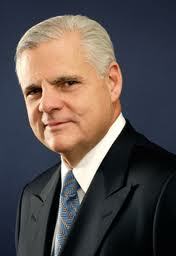 Joe Tucci has been chairman of the Board of Directors and chief executive officer of Hopkinton based EMC Corp since January 2006. 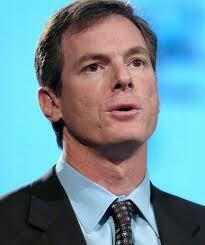 Later, he joined the company as president and chief operating officer. In 2007, he became the chairman of the board of directors of VMware Corp.
Hopkinton based American multinational corporation EMC Corporation offers services including data storage, information security, cloud computing products and services that enable businesses to store, protect, manage, and analyze huge amount of data. VMware, Inc. is an American software company that offers cloud and virtualization software and services. Paul E. Jacobs has been the Chief Executive Officer of Qualcomm since 2005 and has been working with the same organization for almost 22 years. He has been primarily responsible for some big and successful initiatives of the company that include making the first smartphone based Palm OS, the Brew system that enables over-the-air downloading of applications, GPS capabilities in mobile phones and Qualcomm’s development of gps One position-location technology, a relatively superior reflective display technology called Mirasol and QChat, a Voice over IP, push-to-talk system. San Diego based company Qualcomm Incorporated is semiconductor company that manufactures, designs, and markets the digital wireless telecommunications products as well as services. Richard K. Davis has been with US BanCorp for 18 years – the chairman for 5 years since Dec. 11, 2007, CEO for 6 years since December 2006, and president for 8 years since Oct. 19, 2004. Prior to this company, he has served on the Board of Directors of Visa Inc., as a director of the Clearing House and the American Bankers Association, as a member of the International Monetary Conference, and as representative for the Ninth District of the Federal Reserve, as a member of the Board of Directors of Xcel Energy. 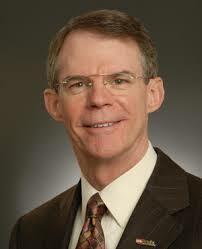 He has more than 30 years of experience in the banking industry. U.S. Bancorp is an American company that offers various financial services. It is the parent company of the fifth largest bank of the United States named U.S. Bank. 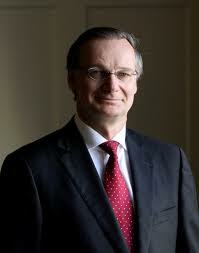 French businessman Pierre Nanterme has been working for Accenture for long 30 years since 1983 and he has been in diverse leadership positions across the company’s key parts. He is the current Chief Executive Officer with the company since January 2011. Before becoming CEO, he was a group chief executive of Accenture’s Financial Services operating group and the member of Accenture’s global leadership team,playing a significant role in the planning and execution of Accenture’s long-term business and global expansion strategy. Accenture is a Dublin based multinational management consulting, outsourcing and technology services company. The company has more than 257,000 employees across 120 countries in the world.